I cant find out why simulation is so broken. "Fat" always wanna missed a lot of "bones" and it missed a lot of details. If I speed up pressure to inner material - it shrinks through the "bone". How can I make more detailed simulation? Also Im interesting about Surface tension - is for outer layer parameter? is it better to use presure on inside material layer or its better to slide-attach fat? any idea about Rest Scale and Surf Tension for begin? Inner layer? And how can I reduce noise on animation? Make more substeps? I still cant find why it happens. Im a bit tired of this. want. And ramp the rest scale envelop too ! or put your scale a 1 and increase the solver scale by 10. Still I have noise on surface during animation. Any idea how to get rid of this? Cant find that magic parameter. MORE substeps? And still there is some trouble with bones. 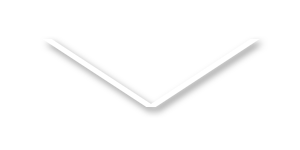 Is it aboutCollision Point Spacing or Tet scale? do you have any self-intersection at those frame? tristan_cordeboeuf looks like I dont. you sad about script to check intersection somewhere on forum. Where can I find it? 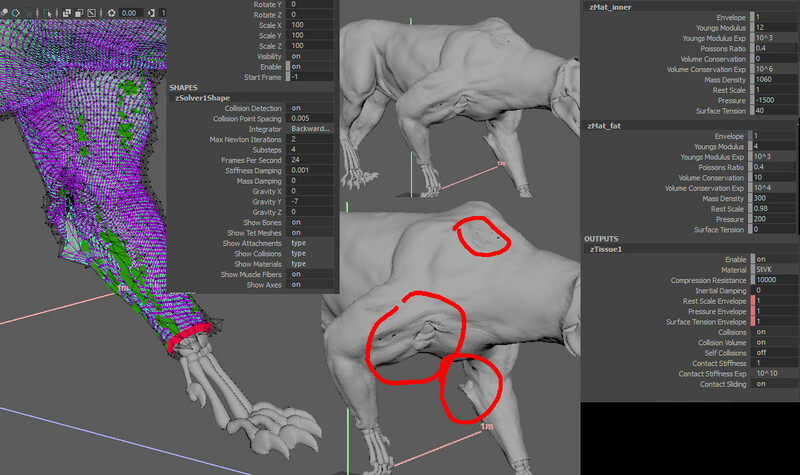 Theres a bit intersection in muscles/bones during rigging, before alembic bake. Its not a problem. isnt it? 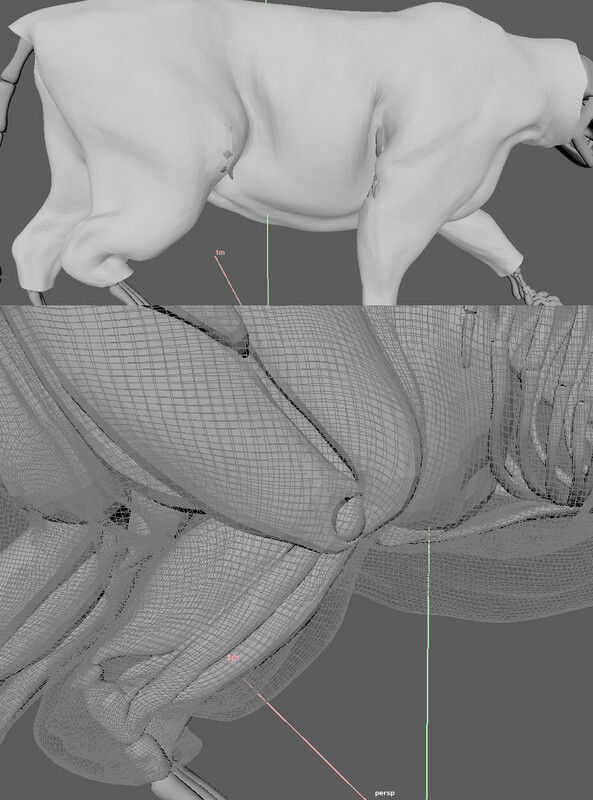 archinicholas Theres a bit intersection in muscles/bones during rigging, before alembic bake. Its not a problem. isnt it? Just want to check that you're not combining anything. All the objects are individual meshes when you're doing collisions? 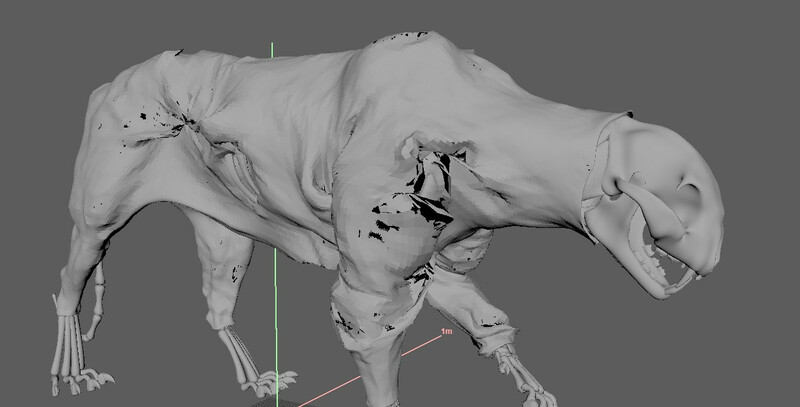 First step was simulation muscle with bones. 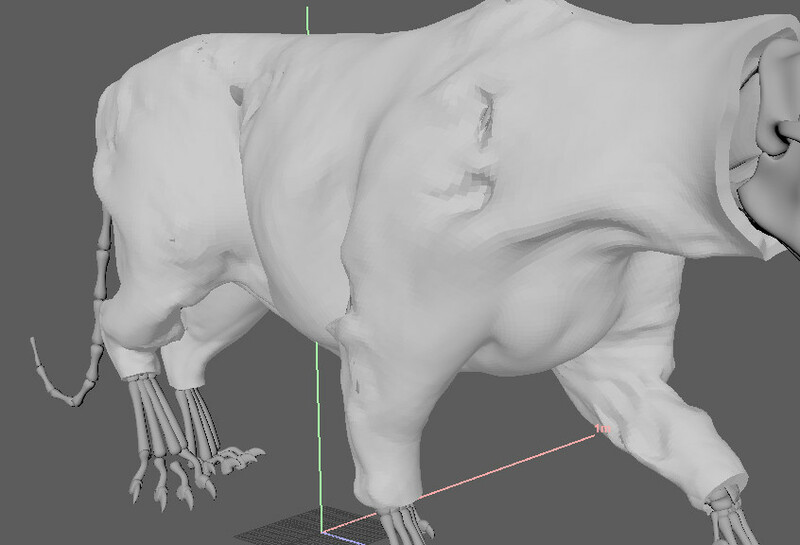 There were a bit intersections during modeling, then attached together during Ziva rigging. 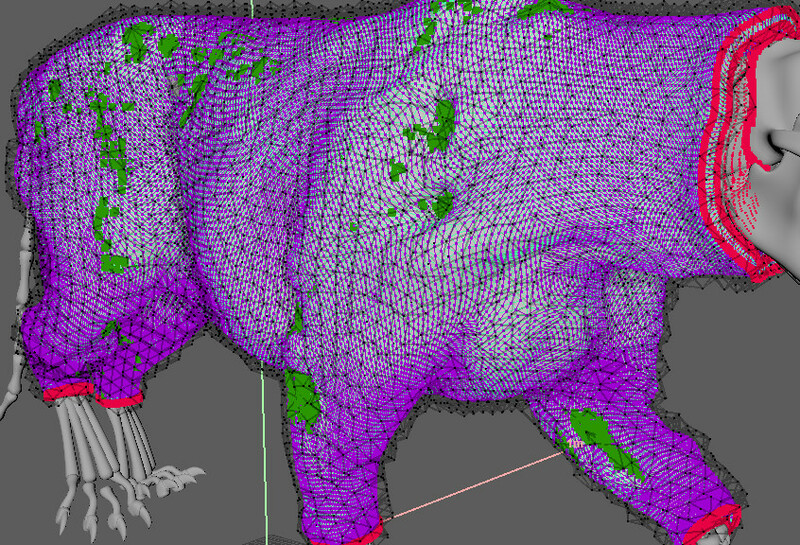 Ater simulation alembic baking - there are individual meshes imported. I wouldnt say they have animated intersections. At least on trouble zones. Thanks a lot. I have fixed a few bugs thanks to your comments. 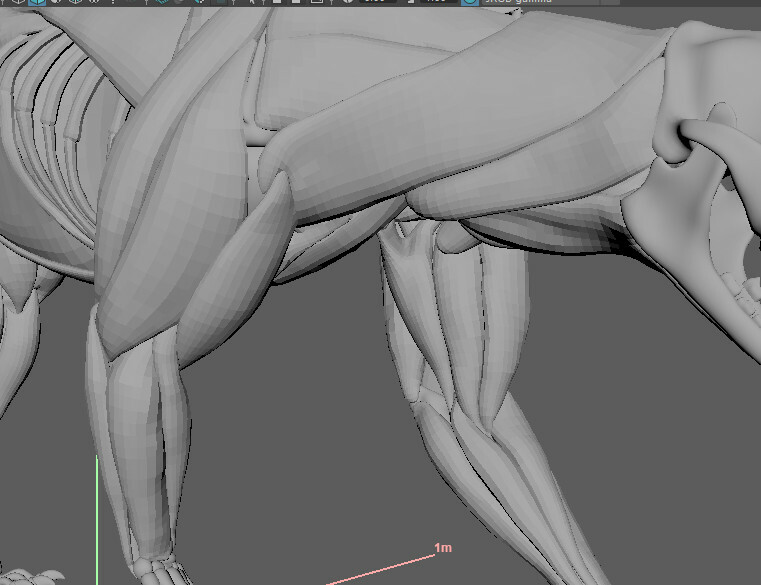 BTW, I found that a few muscles were imported in 0.1 Scale. Dont remember how it heppened. 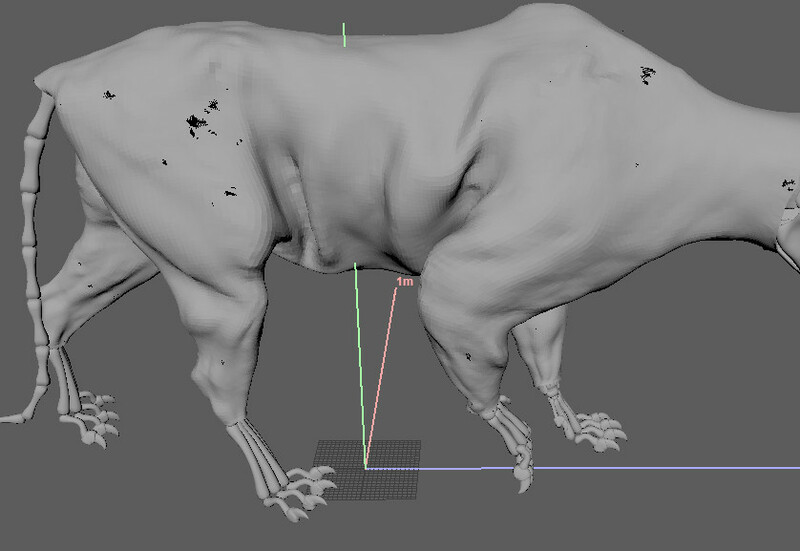 Anyway, Ive made new one muscle set and simulation looks better now. But the surface is still dancing during animation, trembling a bit. 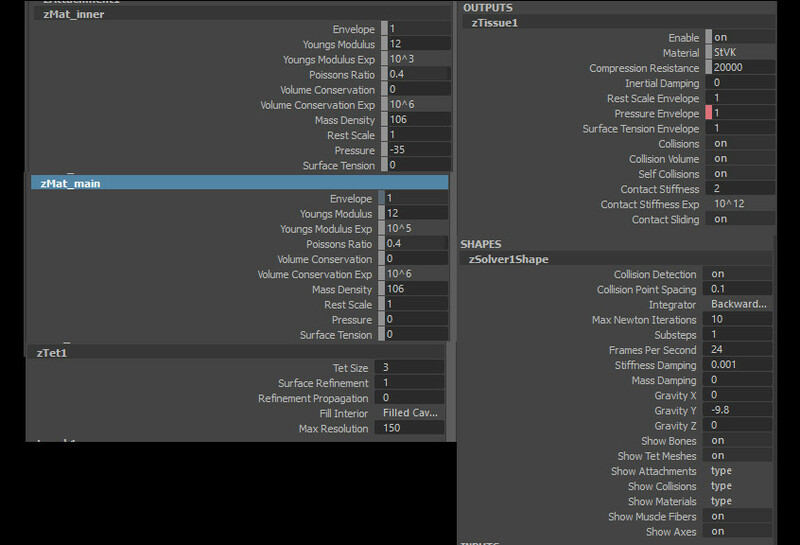 Is it about substeps/tets/meshSbdv/ColisionPointSurf ? Also there is a troble with fast dynamic animations. Simulation breaks sometimes in fast frames. How can I solve that problem? archinicholas Thanks a lot. I have fixed a few bugs thanks to your comments. archinicholas the surface is still dancing during animation, trembling a bit. Is it about substeps/tets/meshSbdv/ColisionPointSurf ? Try adding sliding attachments in the areas that collisions aren't resolving the way you want. Remember, muscle or bone is source of the sliding attachment (i.e. selected first) and fat is target. archinicholas Simulation breaks sometimes in fast frames. How can I solve that problem? How fast are we talking? Is it still within the bounds of physical reality? andy_vs How fast are we talking? Is it still within the bounds of physical reality? Scene and Ziva setup is 24fps. Unfortunatly I have no screen right now, but I think it should be clear. I would think it happens cause mesh (distance between skin and fascia) is thick in someplaces, but it doesnt look so thick during slow motions.